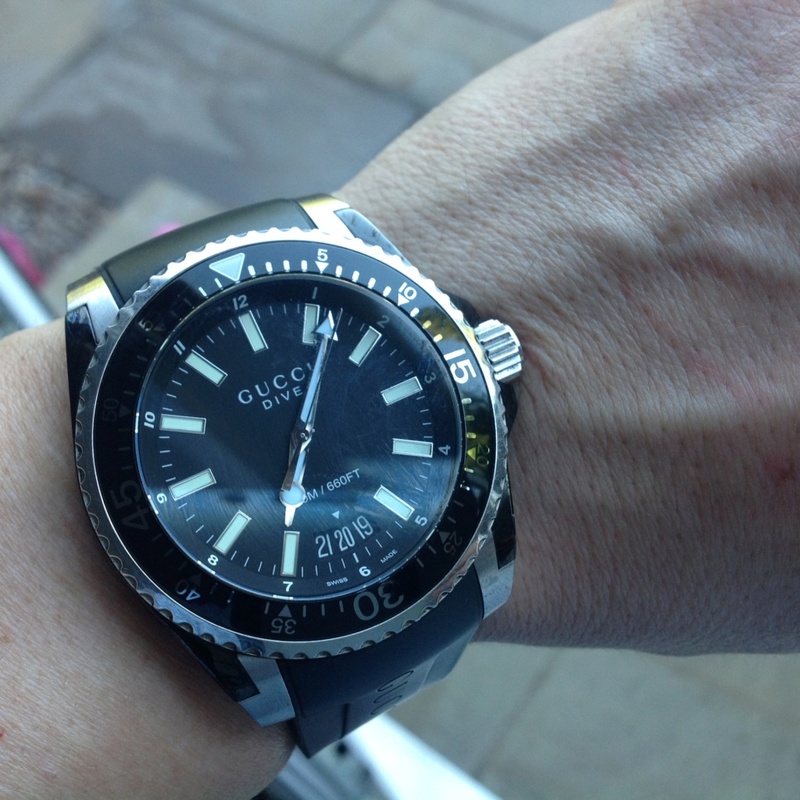 Driven by style and performance, this stunning Gucci Dive 45 Men's watch embraces the very latest technology to create a timepiece that is water resistant to 200m. The perfect everyday accessory to complement your active, fast-paced lifestyle, this high performance timepiece will meet and exceed your expectations. Featuring a tough-talking, durable black rubber strap, a 45mm stainless steel case featuring a black bezel with PVD finish, a jet black dial, and Arabic numeral hour markers, this directional timepiece is forward thinking, innovative, and ultra-stylish. i have been looking at these for ages now, have you been hacking my browser history again ? the only thing that stopped me is not being able to find out what movement is inside............any idea whats in them Andy ?